Where:	Near gifts shop "From Russia with Love"
As an travel journalist, Millie liked to ask questions about everything (cultural life, politic, history and many personal questions), taking pictures (she took one day course from professional photographer, sorry I forgot his name) - by the way, during one sightseeing tour to the park of fallen sculptures I was able to learn one interesting photo shooting technique and going to post one picture from this tour very soon. As about her husband, Keith Marshall, he likes very much art and he enjoyed to visit Pushkin Fine Art museum (Impressionists), Tretyakov Gallery (modern art). Recently Millie Ball posted at her blog two interesting stories with photos about her trip to St. Petersburg and Moscow giving her impressions about Russia, important information and wise recommendations for travelers who are coming fist time to discover Russia. Actually I think that this is very interesting information for all people who are curious about what is going on here, in Russia. Arthur was recommended to me by a friend who used his services before, but my actual experience with him surpassed my friend's recommendations and exceeded my expectations. 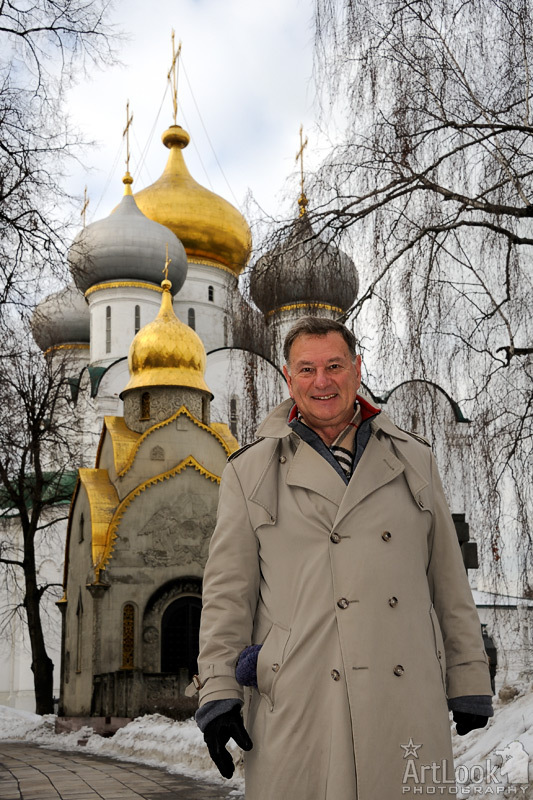 Arthur posses the following attributes: Always on time, safe driver, knows Moscow's roads very well, very knowledgeable tour guide be it in a museum or outside at any of the numerous tourist attractions. Combine this with his excellent English, and his pleasant personality, and you get all the ingredients required for a perfect vacation in Moscow. The city is magnificent, and with Arthur's help, you get to see it from many angles, both during the day and at his famous night tours which should not be missed.